"Eradicate corruption - Build A New India. Click here to take the Integrity Pledge. " "To be a world-class petrochemical company, with dominant Indian presence and a preferred choice of customers in terms of quality and value." 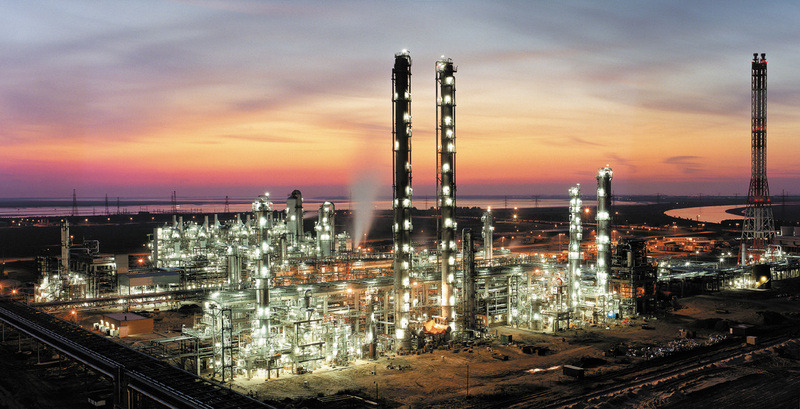 OPaL has set up a grass root mega Petrochemical complex at Dahej, Gujarat in PCPIR/SEZ (Petroleum, Chemicals and Petrochemicals Investment Region/Special Economic Zone). The complex's main Dual Feed Cracker Unit has the capacity to produce 1100 KTPA Ethylene, 400 KTPA Propylene and the Associated Units consists of Pyrolysis Gasoline Hydrogenation Unit, Butadiene Extraction Unit and Benzene Extraction Unit. The Polymer plants of OPaL has 2X360 KTPA of LLDPE/HDPE Swing unit, 1X340 KTPA of Dedicated HDPE and 1x340 KTPA of PP. The Project commenced its production after the inauguration by Hon'ble Prime Minister Shri Narendra Modi in March 2017. OPaL is poised to become a key player in the growth of the polymer industry, because it has all the essential ingredients to become one of the best performing operators in the global petrochemical industry. Moreover, to utilize the advantage of this highly competitive and dynamic market, OPaL synergizes with the strengths of its promoters. OPaL has the combine advantages of adequate indigenous feedstock supplies, talented manpower, ready market and above all, a better and brighter domestic market. The demand for polymers in India is huge and is expected to further rise with the growth in GDP. India will continue to be in deficit of Polyethylene in the foreseeable future. Moreover this also works as a perfect downstream integration for ONGC-the key promoter who will be supplying the feedstock required for this project from its Hazira, Uran and Dahej facilities. Apart from the home turf, being in SEZ, OPaL will be marketing substantial part of its produce in the international market. OPaL aims to provide world-class products and services across the globe. To achieve this, we make effective use of technology, while being sensitive towards the environment at all times. Using the state-of-art technologies from the finest and most renowned technology providers, OPaL facility is pegged to be among the best in the world. Driven by innovation, we intend to build world class petrochemical enterprise unlocking potential of our people and offer differentiated product and services.